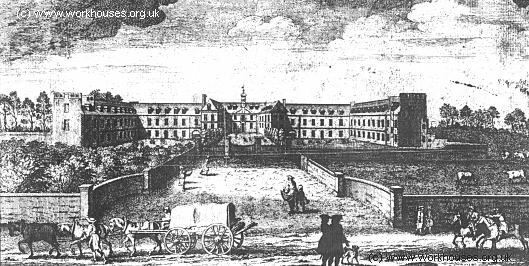 An early workhouse was erected in Exeter in the 1670s. This was the result of a bequest of the Canon John Bury, who in 1667, left the sum of forty pounds per annum to the parish of St Sidwell so that "All ye poore people of that Parish that should be able to work should be maintained therein and kept to work." The workhouse was erected near the bottom of Summerland Street and a Master employed out of the bequest funds. In 1697, Exeter was one of the first places in England to be incorporated under a special Act of Parliament to administer its own poor relief. The Act, which came into force on 30th June, 1698, created "a Corporation to continue forever to consist of the Mayor and Alderman and of forty other persons to be chosen out of the honestest and discreetest Inhabitants of the four Wards or Quarters to be elected by the votes of the Inhabitants paying twopence per week, or more, in his own right, for and towards the relief of the Poor." The preamble to the Act reads: "Whereas it is found by experience, that the Poor in the City of Exon do daily multiply, and Idleness and Debauchery amongst the meaner sort doth greatly increase for the want of Workhouses to set them to work, and a sufficient Authority to compel them thereto, as well to the charge of the Inhabitants, and grief of the charitable and honest citizens of the said City, as the great distress of the poor themselves; for which sufficient redress hath not yet been provided." The Incorporation's decision not to take over the existing workhouse proved unpopular with the city's authorities, since a sale would have netted them around £400 (Hitchcock, 1985). Instead, it eventually decided to erect a new building on a site at Heavitree. Plans were approved in 1699 and the manufacture of bricks for the site was begun. The new workhouse opened in the summer of 1701 and was designed by Ralph Mitchell. It comprised a central chapel with wings at each side, two storeys high with attics. There was also an infirmary and a brewhouse, and the whole site was enclosed by a brick wall. A view of the building was included in Rocque's 1744 map of Exeter. Exeter, 1744, by R White from Rocque's 1744 Map of Exeter. 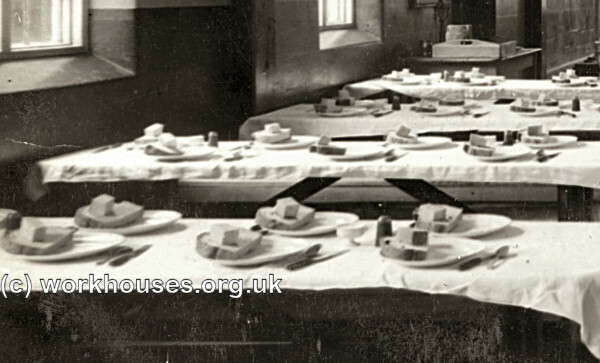 The workhouse accommodated around 200 inmates who were looked after by nine full-time staff. Inmates were employed in spinning white oiled wool. The inmates had a good diet, but a long working day — children rose at 6 a.m. and then worked until 6.30 p.m. Misdemeanours were dealt with severely and punishments included whipping and placement in isolation cells. On 30th October, 1801, a Beadle was appointed to suppress beggars outside the workhouse. His duties also included "To keep the poore in good order within the House, to train the poore, to perform all Cures to the best of his skill on wounds and Sore Leggs that the Corporation shall put upon him, and that he and his wife do all reasonable service for the said Corporation, he and his Wife to be taken into the House to have meat, drink, washing and lodging in the same, and for his and his Wife's services to have Eighteen pounds per annum sallary, and he to weare the Livery of the Corporation, and to have a Staffe to enable him to performe the Office." Breakfast:- Three Bread (oz.) and one ounce of cheese, half a pint of "Beere". Supper:- Four ounces bread, one and a half ounces of cheese or one ounce of butter, and half a pint of beere. Bread and Cheese the same quantity with the boys, Beere about one quarter more, their spoon meat about one quarter more, their flesh one eighth more. Inmates were mostly employed in spinning "Woosted-Wooll". Those found guilty of misdemeanours were usually ordered "to be putt to the whipping post and there whipt with thongs for the said offence and to be kept in the Darke House." In about 1821, the first infirmary was erected, mainly providing for maternity and fever cases. It was enlarged in 1858 to provide for better separation of the sexes. The Incorporation's Local Act status made it exempt from most of the provisions of the 1834 Poor Law Amendment Act. Its constituent parishes by this time were: Allhallows Goldsmith-street, Allhallows-on-the-Walls, Bedford Precinct, Precinct Close, Holy Trinity, St David, St Edmund, St George the Martyr, St John, St Kerrian, St Lawrence, St Martin, St Mary Arches, St Mary Major, St Mary Steps, St Olave, St Pancras, St Paul, St Petrock, St Sidwell, and St Stephen. In 1877, the Incorporation was dissolved and Exeter became a Poor Law Union, with the further addition of the parish of St Leonard (Snell, 1905). 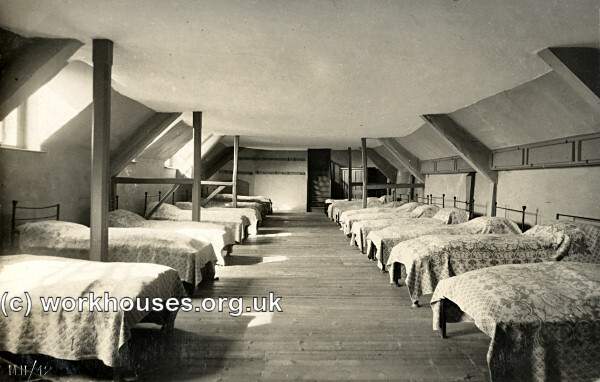 By 1889, the workhouse buildings included a large hospital, schools, workshops, lunatic wards and receiving wards. It could accommodate up to 500 inmates although only housed 320 at that date. The workhouse location and layout in 1904 are shown on the map below. In 1894, the British Medical Journal set up a "commission" to investigate conditions in provincial workhouses and their infirmaries. Following a visit to Exeter, the commission's report highlighted a number of problems. 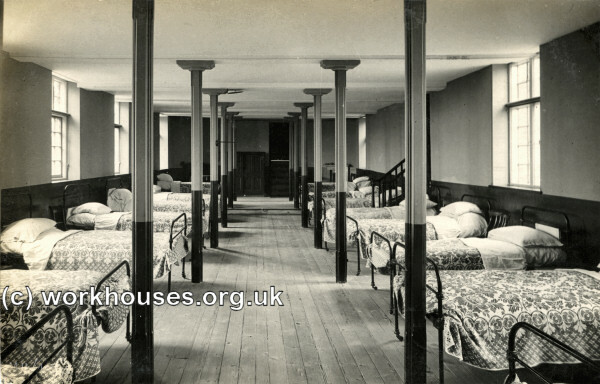 It was noted that the workhouse had 121 beds allocated for the infirm and sick, and an usually high proportion of such inmates were not able to get up during the day. To deal with this heavy load, only two nurses — a married couple — were employed in the infirmary, assisted by pauper inmates. There was no night nurse. A lack of day-rooms resulted in the wards being crowded. More isolation wards and a separate labour ward were also required. Further details are available in the full report. From 1904, children born at the workhouse did not have this fact revealed on their birth certificates. Instead, their place of birth was given simply as 14 Heavitree Road. Exeter female infirmary ward block from the west, 2005. Exeter new infirmary administration block and covered way from the north, 2005. Exeter new infirmary maternity block from the east, 2005. The pictures below are believed to date from 1912 onwards, when Mr and Mrs Norrish were appointed as master and matron. 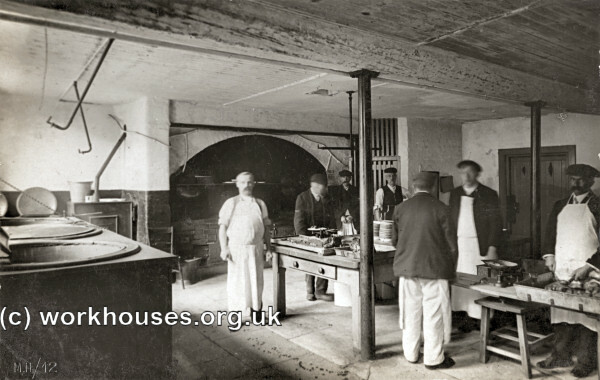 Mr Norrish, a native of Exeter, had previously been the Union's senior relieving officer and the couple had occasionally taken charge of the workhouse when the regular officials were on holiday. The Norrishes appear, standing, in the first picture. 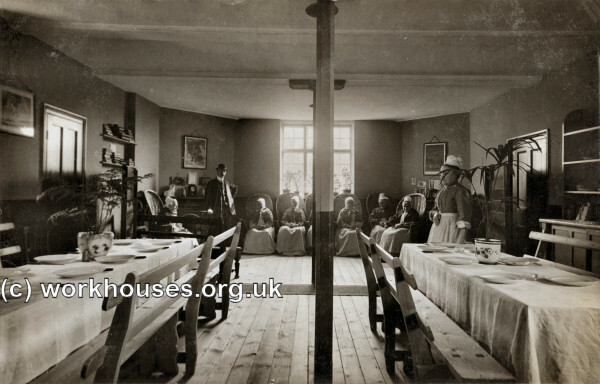 Exeter workhouse elderly women's day room / dining room. 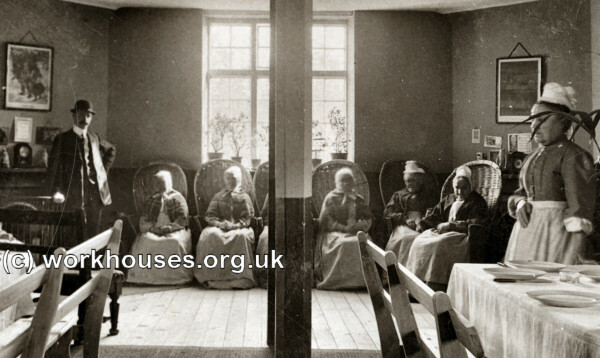 Exeter workhouse elderly women's day room / dining room (detail). The tables in the picture below are laid for a meal of bread and cheese. Exeter workhouse day room / dining room. Exeter workhouse day room / dining room (detail). 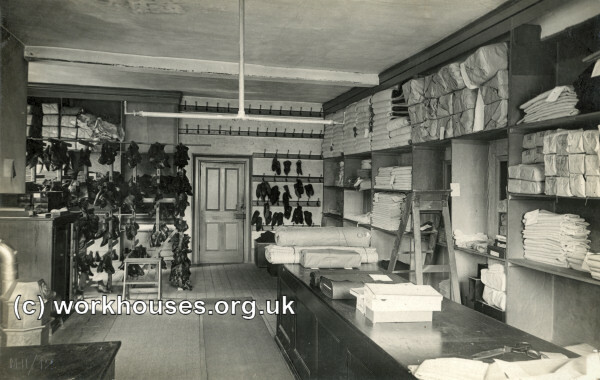 The picture below is a rare view of the workhouse stores with racks of boots and shelves holding linen and other items. 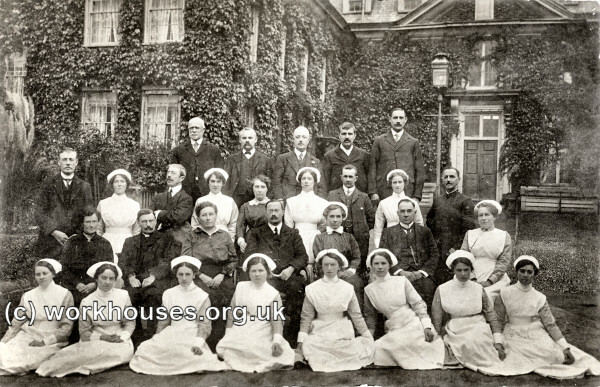 In the group picture of the workhouse staff below, Mr and Mrs Norrish are in the second row from the front, seated third and fourth from the left. 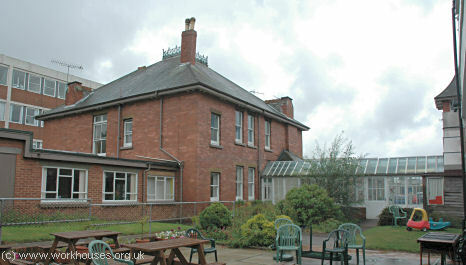 A children's home, designed by RM Challice, was added at the south-east of the site in 1913. Constructed in red brick with slate roofing, it had a three-storey central block flanked by two-storey wings. 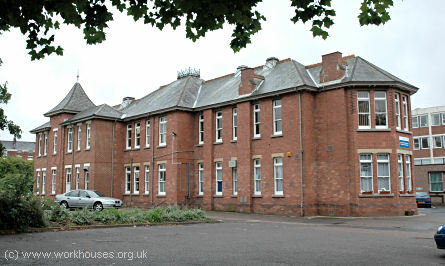 Exeter children's home from the south, 2005. 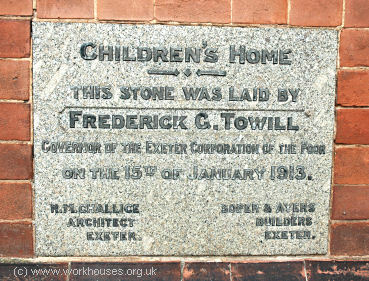 Exeter children's home foundation stone, 2005. 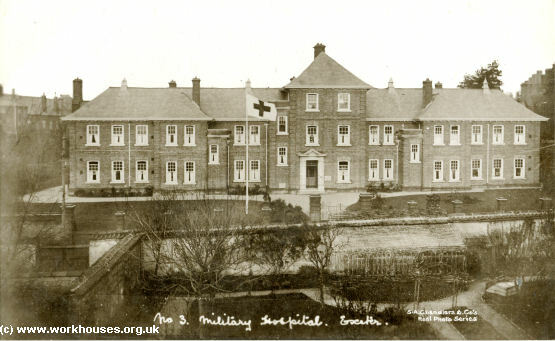 As soon as it was built, the home was pressed into service used as a First World War military hospital. The later additions to the workhouse site are shown on the 1938 map below by which time the establishment had become a Public Assistance Institution run by the City Council. 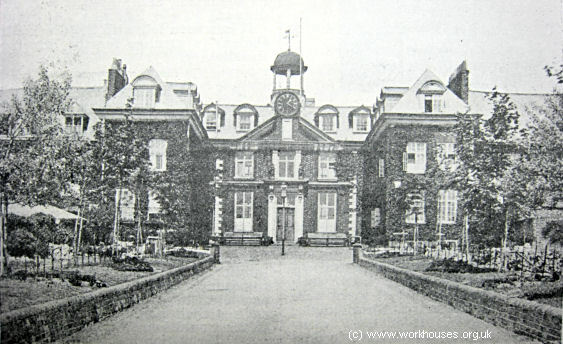 In 1939, the former workhouse became the City Hospital, and later Heavitree Hospital or, more formally, the Royal Devon and Exeter Hospital (Heavitree). 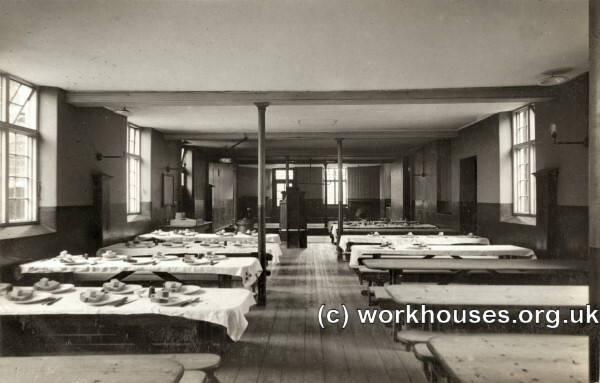 Bombing during the Second World War severely damaged the original workhouse and the 1905 male infirmary ward. After post-war rebuilding, the 1913 children's home and remainder of the 1905 infirmary were the only surviving pre-war structures. 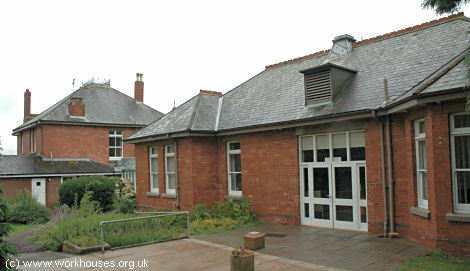 Devon Heritage Centre, Great Moor House, Bittern Road, Sowton Exeter EX2 7NL. Few records survive — holdings include: Guardians' minutes (c.1834-1830); Ledgers (1857-1949); Parish ledgers (1879-1901); etc..
Exeter St Thomas Workhouse resources from West Exe (archived). Thanks to David Knapman for the Vancouver transcripts.